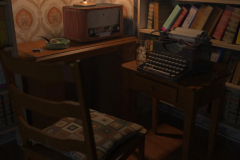 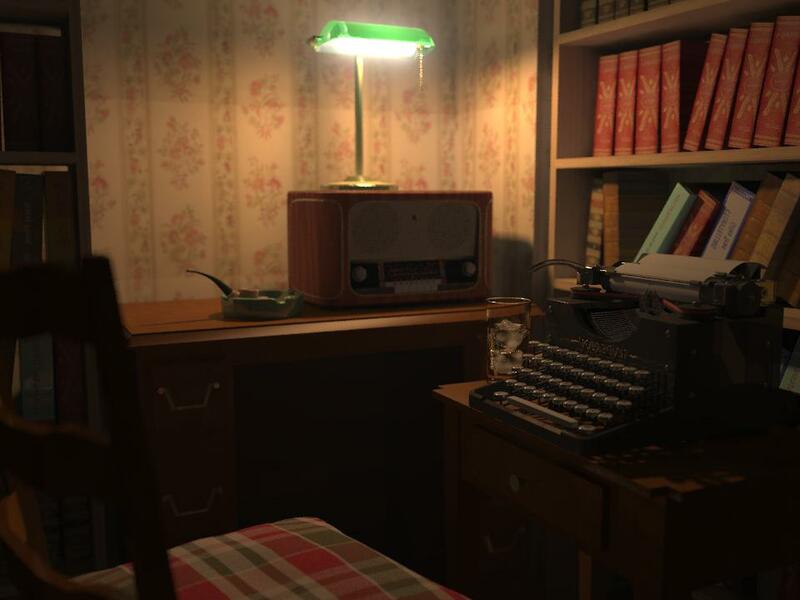 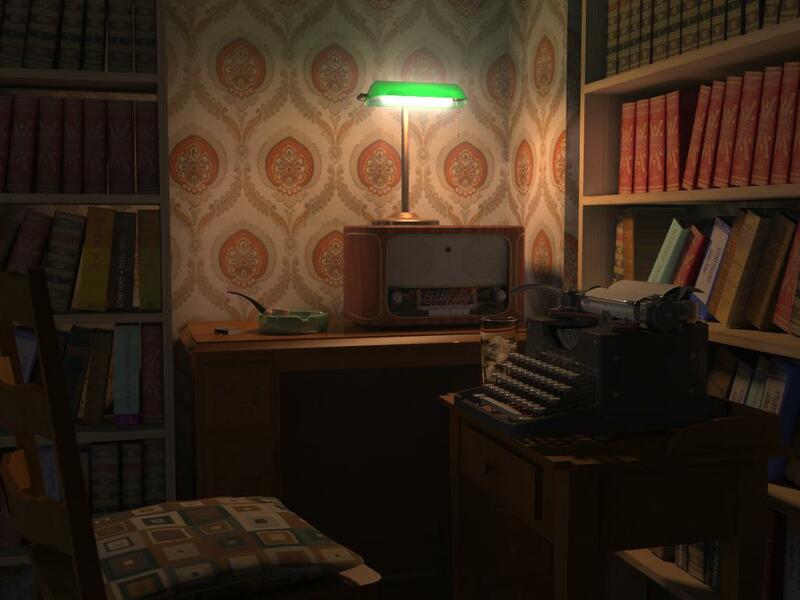 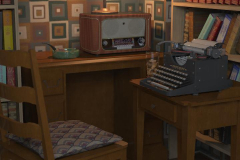 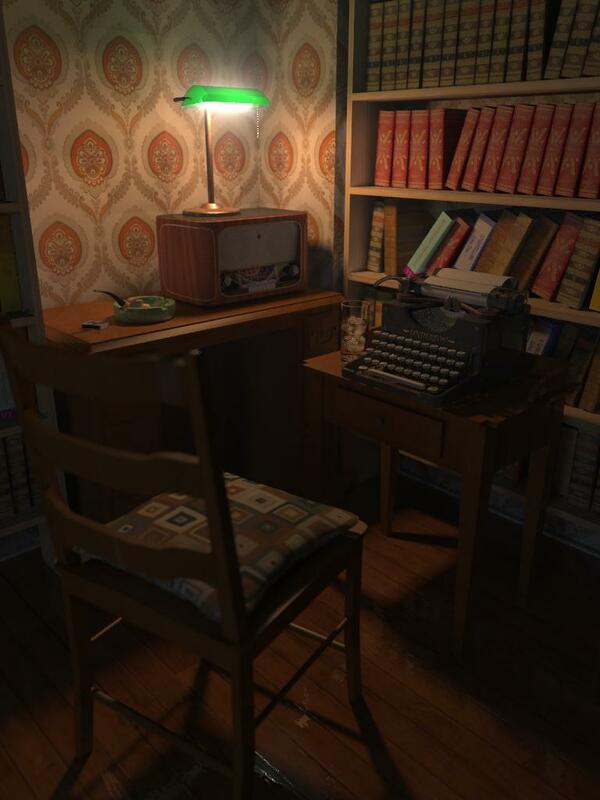 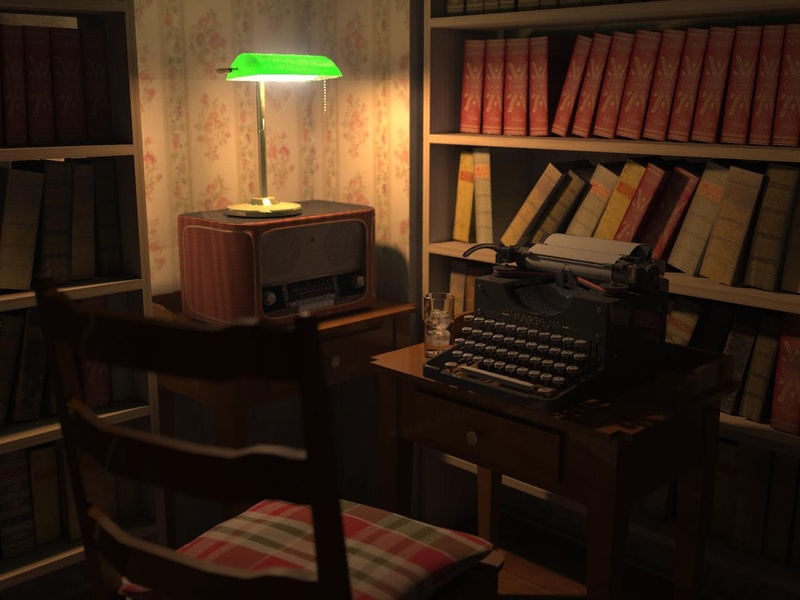 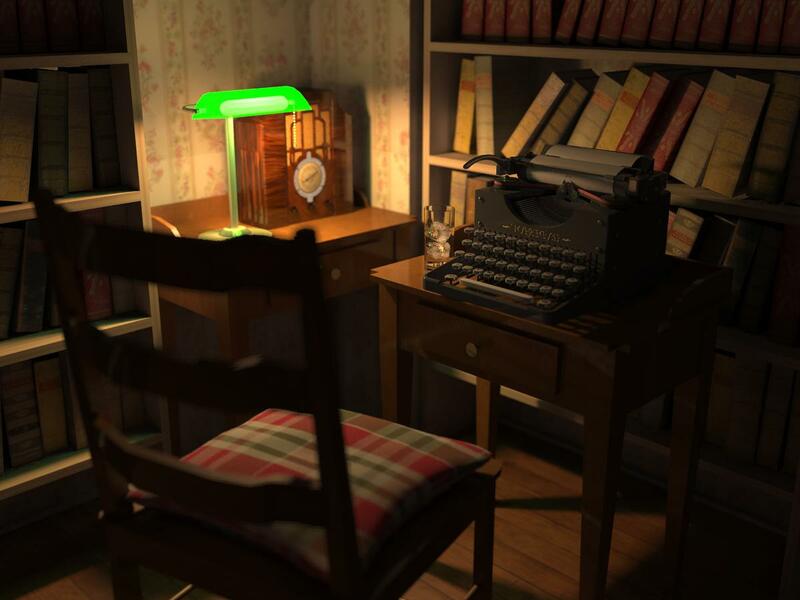 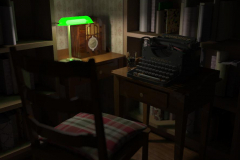 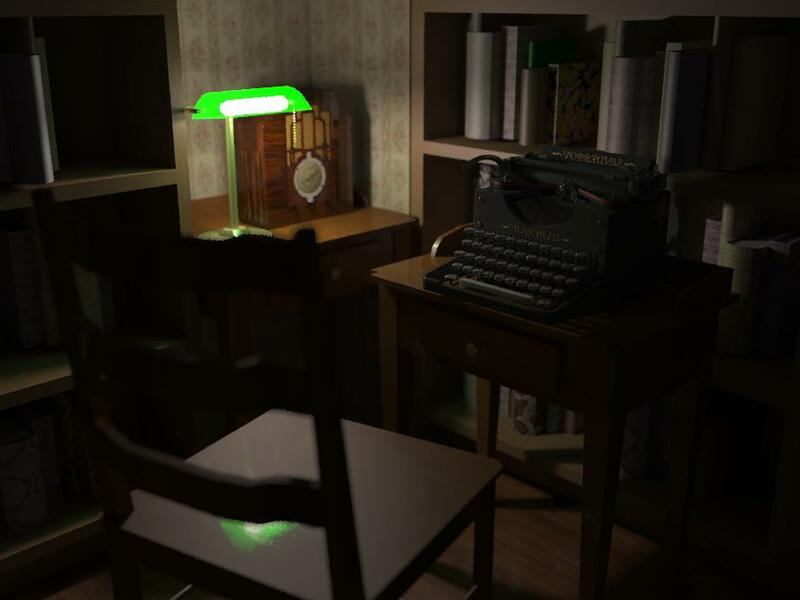 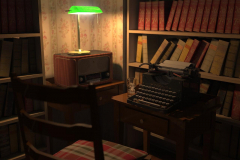 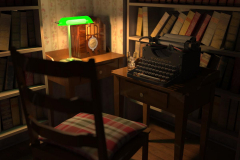 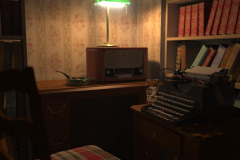 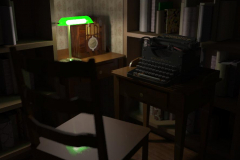 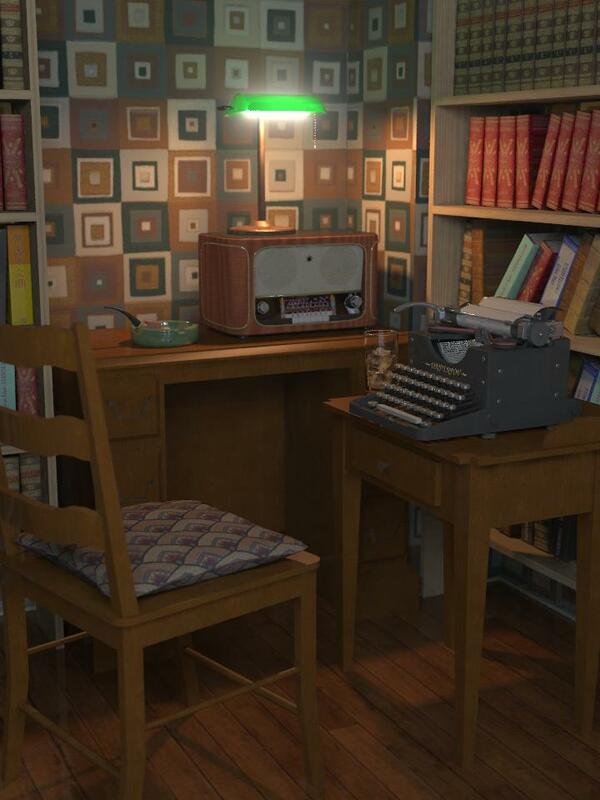 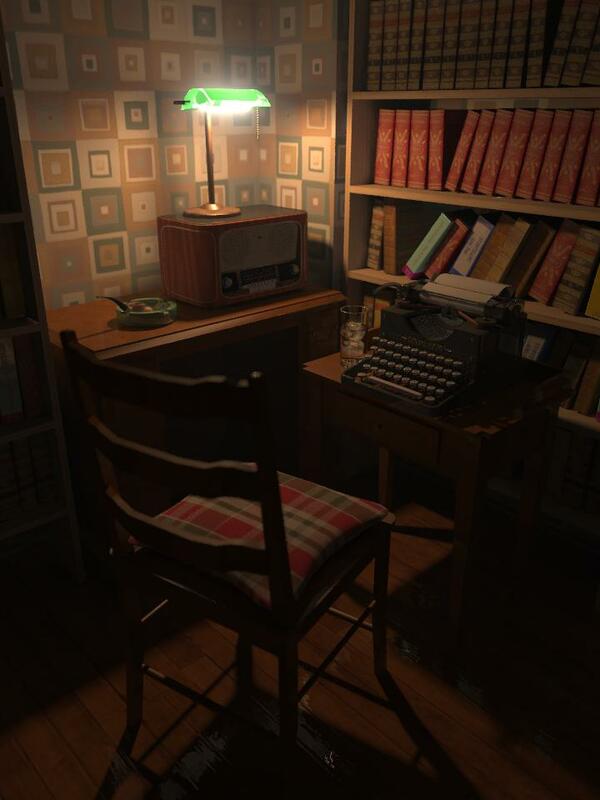 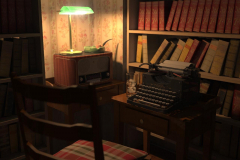 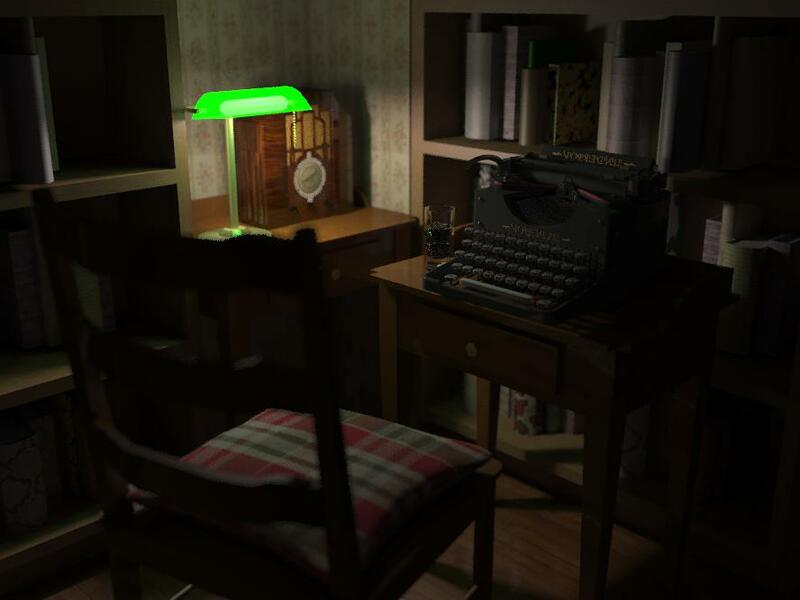 Apart from the recycled typewriter, I modelled for the occasion a room with Chief Architect, and filled it with some stock objects like the lamps, the tables and the chair. 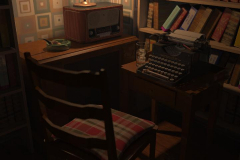 The books and shelves come from another old scene, as well as the whiskey glass. 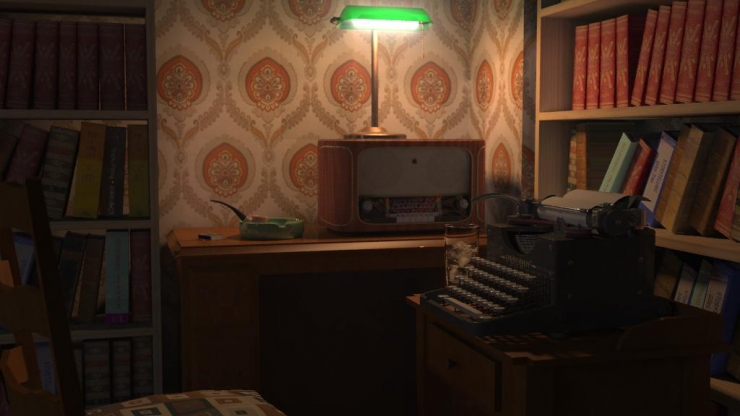 The radio was modelled in some hours with Wings3D, and as I found again my limited Wings3D skills, I did also an ashtray, the pipe and the paper sheet. 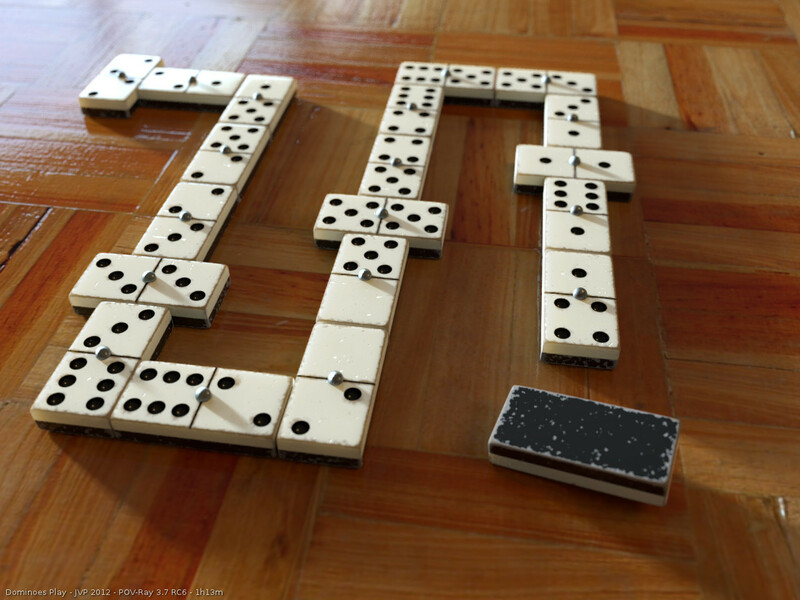 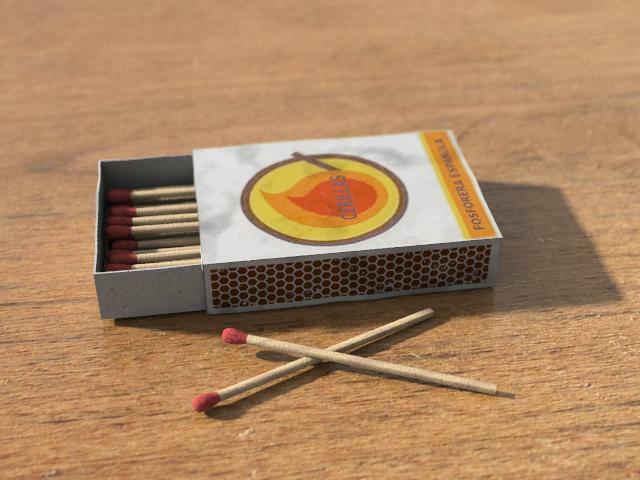 As a final touch, I dared to model a matches box and even some matches!